I write further to my last update and to confirm that The Pioneer Group is now in contract with L Daniels Property Maintenance Services Limited (LDPML) for the provision of responsive and voids maintenance services. The contract will go live at 5.00pm on Friday, 5 January 2018. WLSL will continue to provide both a day to day and out of hours emergency service up to this point. LDPML is small to medium size building, maintenance and reactive repairs business based in Kings Heath. The company is privately owned and has been providing services throughout the West Midlands for more than forty years. Indeed, LDPML already provide Pioneer with a support service on occasions where WLSL are unable to undertake work. All LDPML’s operatives are security checked and trained to NVQ Level 2 in their respective trades. They also use real time management information via the PDA’s that LDPML require them to use. This ensures that at any time, an operative will have access to the latest information in respect of the work to be completed. 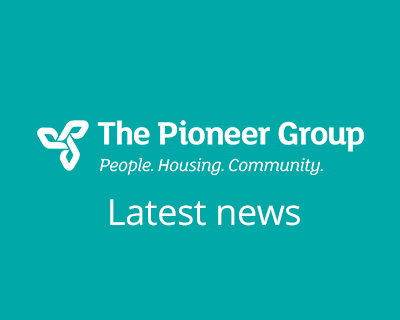 As part of the contract, LDPML has committed to providing a dedicated team for the provision of services to Pioneer, including the position of a Contracts Manager. In due course, we will provide additional information on the new team and of course you will begin to see them out and about in their vans from the 5 January. I would once again like to take this opportunity to thank WLSL (and G Purchase Limited before them) for the years of service that they have given to The Pioneer Group. We wish them well in their future endeavors. I would also like to thank colleagues and residents from across Pioneer for their recent support, effort and enthusiasm in bringing this new contract to fruition. Many, many hours have been spent over this last three months working on new contract terms, to ensure that the services we receive from LDPML are as close a fit as possible to what we believe our residents need and expect. On a personal note, I am also delighted with the level of flexibility that LDPML’s directors’ have shown during contract talks. Throughout, they have displayed patience, a willingness to learn and most importantly, a willingness to listen. This assures me that in LDPML we have found a business that shares Pioneer’s values, behaviors and ambitions. I hope you find this latest update helpful and as per my previous announcements, if anybody should have any questions not dealt with by the above, please do speak with either Dave Wynn, Contracts Manager (Responsive and Cyclical) or myself.